Some of us keep a bucket list. From the profound to the mundane we write down hopes and dreams and a plan to make them come true. As a cancer survivor (ten years out) I’m mindful that life is a gift to be savored, lived as fully as possible. 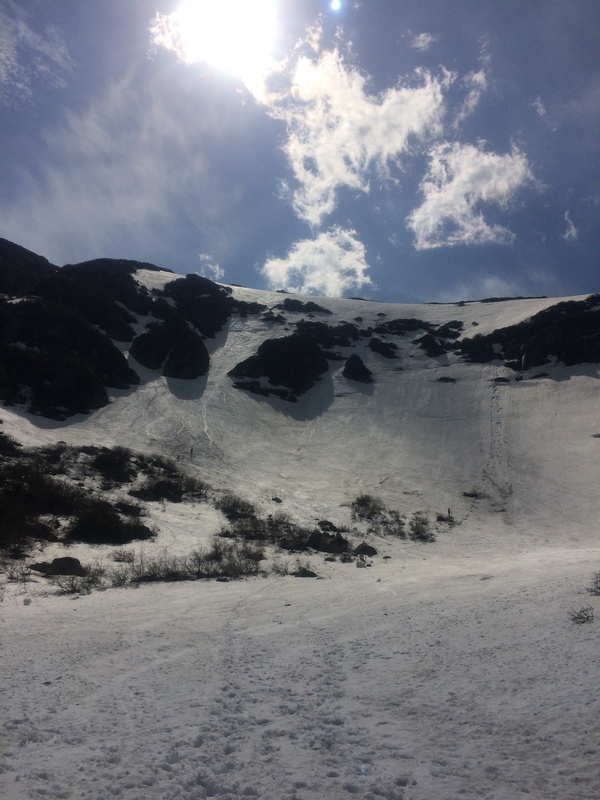 Recently I spent a day hiking to and skiing the iconic Tuckerman Ravine. 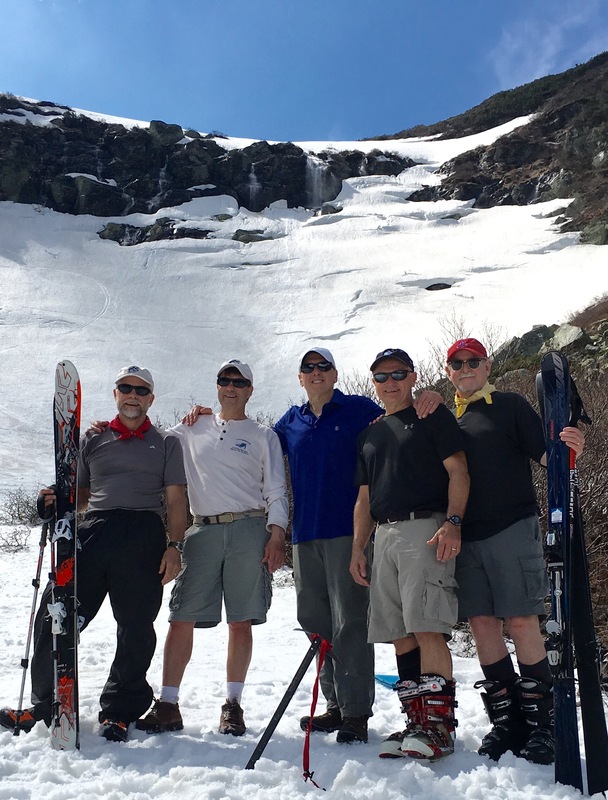 https://en.wikipedia.org/wiki/Tuckerman_Ravine I climbed with ‘the boys’, five lifetime friends now 60. We decided now was the time to experience Tuckerman. The ‘Tuck’ is a legendary bowl for spring skiing on the southeast side of Mount Washington in New Hampshire. No chair lifts here. To get to the bowl is not for the faint of heart. You begin with a three-mile hike rising from 2000′ to 4500′ feet while you carry your skis and boots up a rock strewn path. Before the final ascent you check the Avalanche Information Board to know where to ski and avoid. Once arrived you put on your boots to carry skis up a steep incline with toe holds made by others. The best skiers keep climbing to drop over ‘the headwall’ with no room for error. We watched two young guys far above us drop like rocks, catching air time and time again and eventually ski past us. Beautiful to behold. Suffice it to say I chose the bunny slope. At 61 I’m happy to be able to get to the Tuckerman bowl. It’s an awe-inspiring setting that causes one to look up and around and within. The Celts call such settings a ‘thin place’. A thin space serves as a permeable membrane separating the conscious world from the supernatural. For me (and I suspect many others) Tuckerman Ravine is a thin place a portal into a different way of seeing and being. A place that calls us to look both outward and within in a deeper way. Adding to the experience was being with life long friends. Together we’ve shared good times and hard. We’ve lived long enough to know that life isn’t so much about the destination but the journey itself. Back at the parking lot we headed to town for dinner and a beer. We toasted the mountain and we toasted each other. We were tired and grateful for this ‘band of brothers’. Grateful for one more day on the trail.